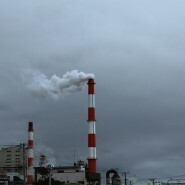 Mounting Environmental Mercury Concerns – But What About Our Mouths? 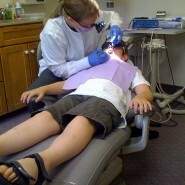 Dentist's motive for profit is frequently placed before the needs of the patient. While my presentation was popular and well received by regular folks like you and I, I was contacted by two dentists who were “shocked” and disparaged by what I said about the field of dentistry. 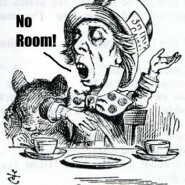 But what was shocking to me is that nothing I said was made up or even exaggerated. It was based on scientific evidence as well as anonymous disclosures to me by some of the country’s most respected dentists. What I shared in my presentation was about how the theory of tooth decay is scientifically inaccurate, and how it is allowed to remain that way because it supports the business of dentistry. The business of dentistry is a $100,000,000,000 (100 billion dollar) per year business just in the United States. There are many dentists, organizations, insurance companies, and laboratories making vast sums of money in the field. So if evidence or a theory existed that did not promote this field, maybe people within the field would have a hard time recognizing that theory because it creates an inconvenient contradiction between the dentists’ need for profit from procedures like fillings, crowns and root canals, and the reality that tooth decay is primarily a preventable disease caused by a nutritional deficiency. A few notes before I continue. I am writing this about the dental field not because I want to destroy it, but because I want it to be better. In order to make the dental field better, we need to look at the difficult truths about what is being said. Dentists and dental students should be having lively discussions about this topic, and not simply being drones in a system that is in many ways harmful. I imagine a day when you go into the dental office and you feel honored by your dentist, and a day when preventative treatment is practiced and not just preached. I imagine a day when drilling and filling is a last resort, only done with materials that are safe and non-toxic. I am not against dentists making money and I am not against people seeing dentists. In fact seeing a dentist could become a much more enjoyable event. When dentists who truly respect their patients put the patients’ needs above their own, the patients hopefully benefit from dental visits. What I am against is dentists making money at the expense of another’s health through hiding or looking past informing patients honestly about what really causes and prevents cavities. And it isn’t tooth brushing that prevent cavities. That tooth decay is caused by nutrient deficiencies and not bacteria has been proven in both animal and laboratory experiments published in books and dental journal. This information creates an inner disparity between the treatments performed, and the science and reasoning behind performing the treatments. In simple terms, there is a compelling reason for the industry of dentistry to be blind to something that would require changing how they do business, because they make so much money. 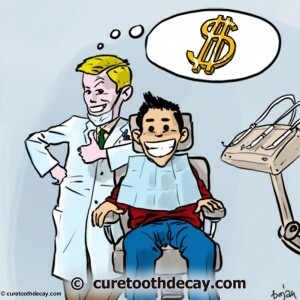 Imagine a contrary scenario where dentists are paid to prevent cavities, rather than to treat cavities. If the dentists motive for profit was in prevention, then they would share with you the lasting information on preventing cavities with nutrition. This is why maverick dentists blew the whistle on the field of dentistry. 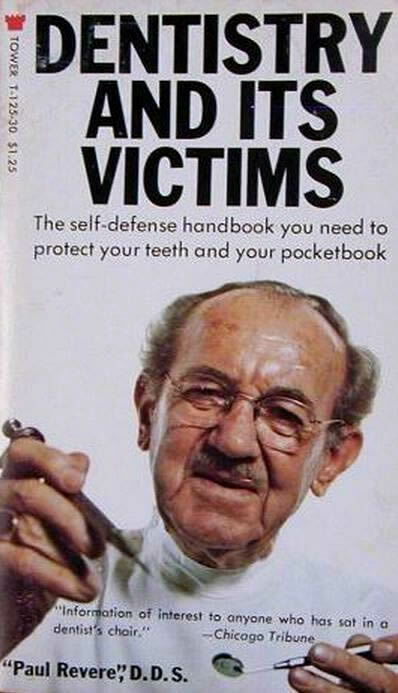 In 1969 a dentist who was later identified as Marvin Schissel published a book anonymously entitled “Dentistry and its Victims.” By the title, you can guess the book's contents. A short summary of the text is that it is a detailed explanation of how and why (because of money) dentists over-treat patients. 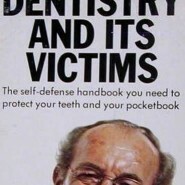 Dentist Robert Nara published “Money by the Mouthful” in 1979 in order to explain how inexpensive preventative measures could replace costly and expensive procedures. Not even a part of the discussion of overtreatment and overcharging is the health and safety discussion of toxic mercury fillings and composites. Composite fillings are usually made with plastic that many people are allergic to which also contains hazardous hormone-disrupting materials like BPA. The modern field of dentistry today is based on civil war era thinking. And that isn’t necessarily bad. The idea is that if your tooth is in pain, it needs a surgical intervention to stop the pain, such as a filling to protect the damaged tooth structure. During the civil war when the modern era of dentistry was beginning, dental fillings were large and the treated teeth needed treatments. There wasn’t such a thing, as far as I know as preventative dentistry, or dental treatments on tiny cavities that did not hurt. The people who went to see a dentist were in pain, and wanted help. Today, a common experience is for patients to find themselves going to the dentist for a checkup and then learning the bad news, that they have new cavities. Even though the tooth doesn’t hurt and the visible cavity may be small, or even invisible to the naked eye, the dentist typically insists that the patient submit to a drilling and filling (with the inevitable billing) dental procedure. What is missing from theADA’s bacteria theory of cavities is that strong teeth resist acid and bacteria. And when you, the consumer, understands that a strong tooth resists acid indefinitely, then the next logical question is, what makes a tooth strong? And that’s just the tip of the iceberg. Dentist Weston Price who was chief researcher of the ADA when it was called the National Dental Association obliterated the idea that cavities are caused by bacteria by documenting, with over 18,000 photographs and thousands of food samples, that tooth decay is a disease of civilization primarily caused by the absence of fat-soluble vitamins A, D and activator X. (Activator X is now recognized to include hormones and quinones such as vitamins K-2, E and Co-enzyme Q10). Activator X is found in grassfed butter and fat-soluble vitamins A and D are found in fermented cod liver oil. In the pursuit of a business model, dentistry has gone too far and lost its roots: to help people get out of pain and to prevent future cavities from happening. Drilling doesn’t stop cavities; it masks and hides the process of physical decay and degeneration. And when I suggest that dentists should do more to educate and inform patients that fillings on average last 5 to 12 years, and that tooth decay can be prevented by adding fat-soluble vitamins, some dentists are shocked. Because the way of dental treatments that they hold on to so dearly is not centered around truth and love, but rather too often is based on greed and profit. 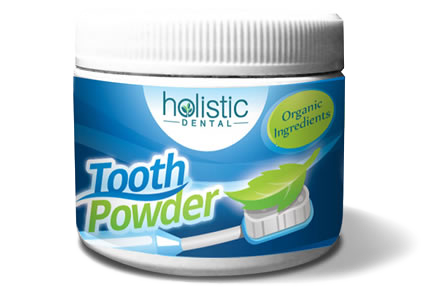 Want to know more about healing cavities naturally? 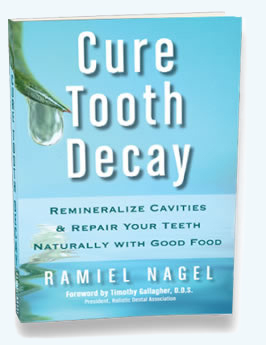 For a detailed explanation of how to remineralize cavities and repair teeth naturally with good food, then you will need to buy my book. I do make a small profit off of each book sold. But there is a difference between what I am offering, and what conventional dentistry offers. I want you to be healthy and my motive of writing the book is first to be of service to humanity and their teeth, and second to make a modest profit. 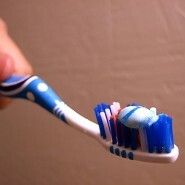 I wrote this article so that you and your friends can know that you too can Cure Tooth Decay. Ref. M - "Concerning the Etiology (Cause) of Dental Caries." , Bodecker. N.p., n.d. Web. 20 Aug. 2012. 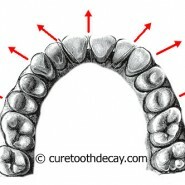 < http://www.curetoothdecay.com/Tooth_Decay/lancet-dental-caries-miller-etiology.htm >. Ref. ADA - "Decay." - A-Z Topics. N.p., n.d. Web. 20 Aug. 2012. 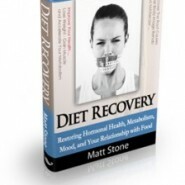 < http://www.mouthhealthy.org/en/az-topics/d/decay.aspx >. Ref. Over - "Formats." Overtreatment with Restorative Dentistry: When to Intervene? N.p., n.d. Web. 20 Aug. 2012. < http://ukpmc.ac.uk/abstract/MED/8478124/reload=0;jsessionid=P1Hc2rTjhGBHVXRlvmmt.6 >. Do More Dentists Mean More Cavities? Mayo Clinic Website Misleads About The Dangers of Mercury Fillings? 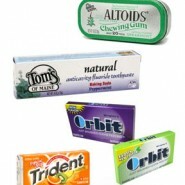 Mounting Environmental Mercury Concerns - But What About Our Mouths? Totally agree! I stopped using ADA approved “drying” products on my teeth as well as using peppermint oil and my 6 mm pocket went to 2mm and my gums are fine. My mother’s “incurable” brain cancer should have killed her in November, but she’s curing it using alternative methods that are inexpensive and effective. 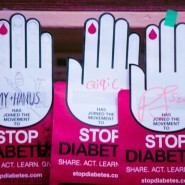 There’s huge money in cancer and a whole lot of arrogance too. I have a blog about what she’s doing here: readthisandlive(dot)wordpress(dot)com. @ChristinaArasmoBeymer You were able to shrink the pocket using peppermint oil? How did you use it, how long did it take? @Mizar5 @ChristinaArasmoBeymer About 1 month between visits. I was quoted 2,900.00 (900 for the bone graft) for surgery, yeah right. The hygienist was amazed and there is no zip pocket (that is that it was healed and not festering) and told her other clients and they also have had great results. I first bought oramd (too expensive), but then went to the health food store and purchased peppermint, spearmint, and food grade almond oil and mixed (email me at christinabeymer(at)gmail(dot)com) for mixture (or go to amazon, search for oramd and look at the first comment). I also was taking a lot of probiotics at the time, which helped. 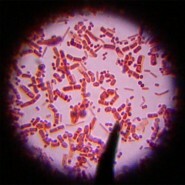 We’re talking about a lot of good bacteria (not just 6 strains), which does help IMO overpower the bad. Also, probiotics help your digestion. Copyright: © Ramiel Nagel, 2010. All Rights Reserved. It is illegal to duplicate content off of this website without the permission of the author. Please link to the website to help spread the good word.